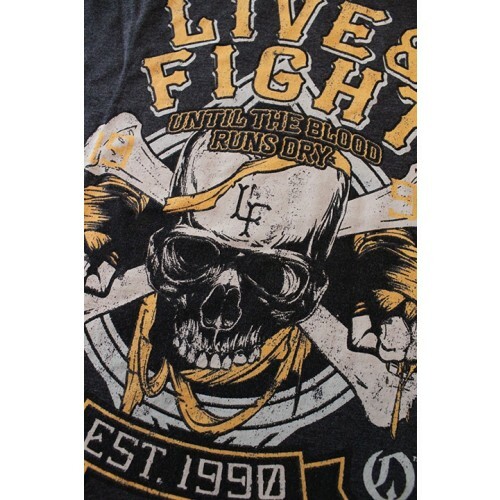 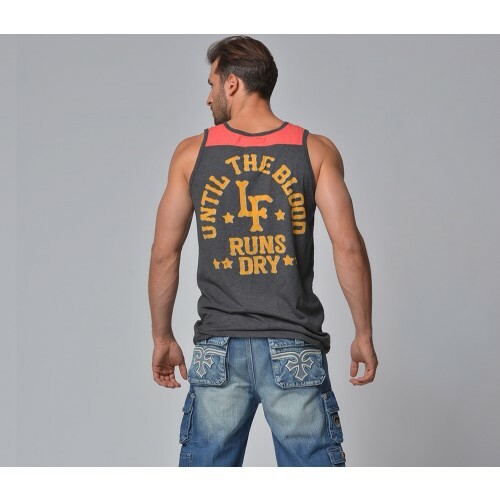 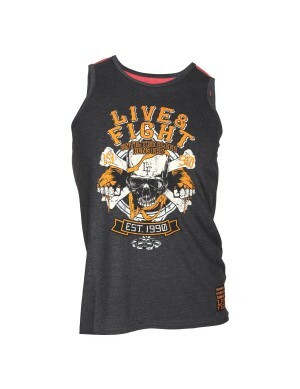 Live and Fight men’s vest tank top. 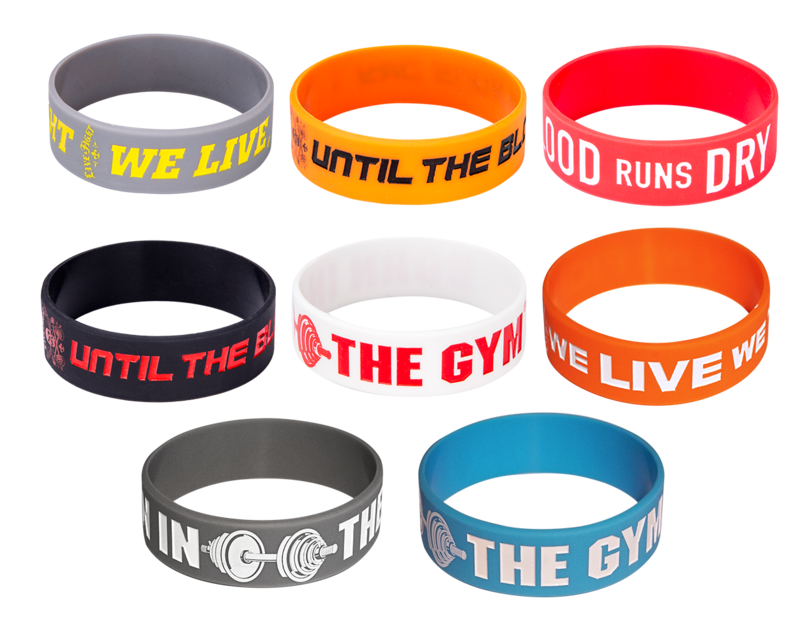 Featuring multi colored Live and Fight water based printed graphic at chest and on back. 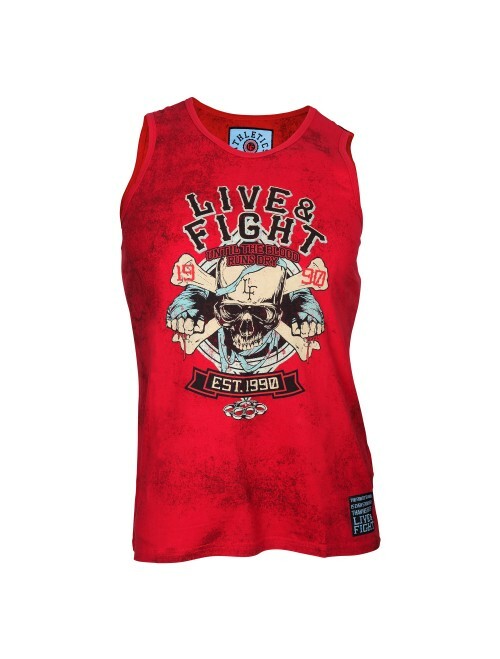 Red body color style is finished with subtle all over wash. Charcoal body color style features super soft tri-blend fabric with unique red panel piecing at the top. 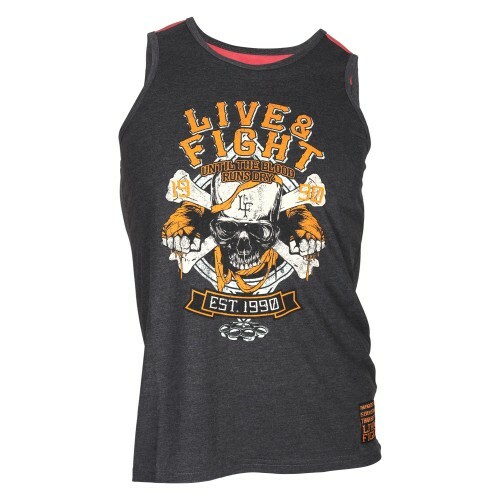 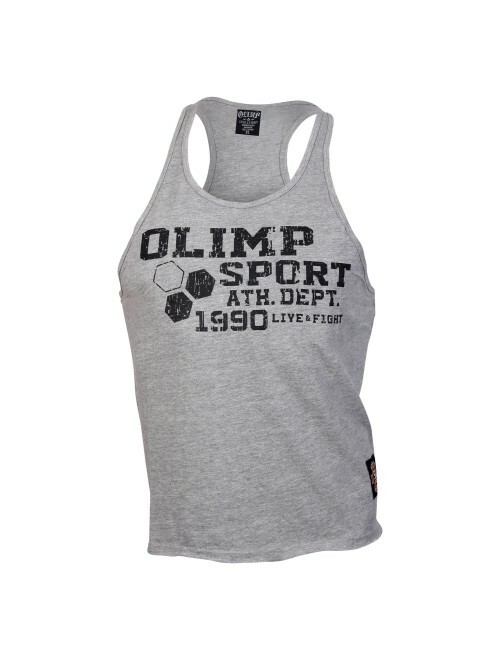 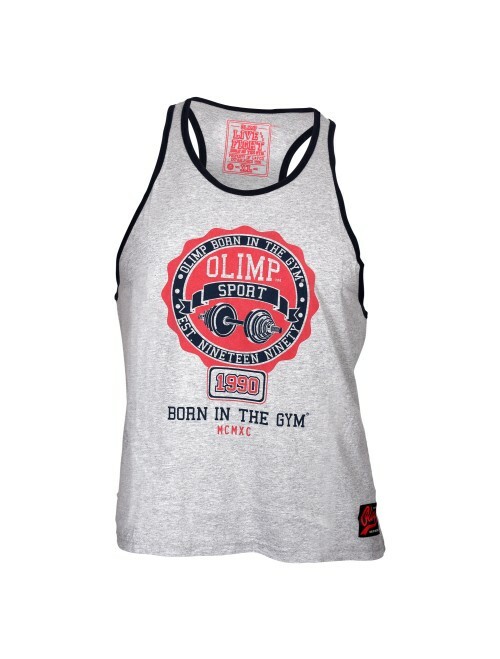 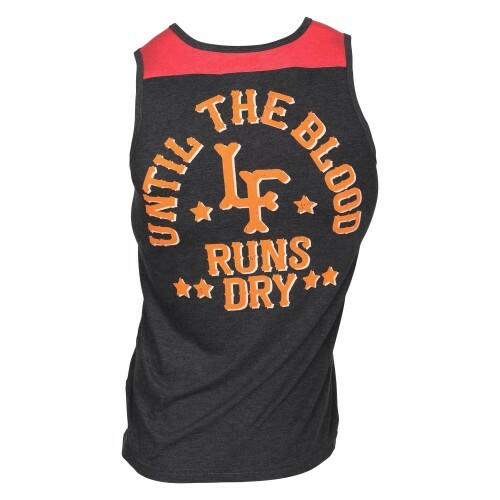 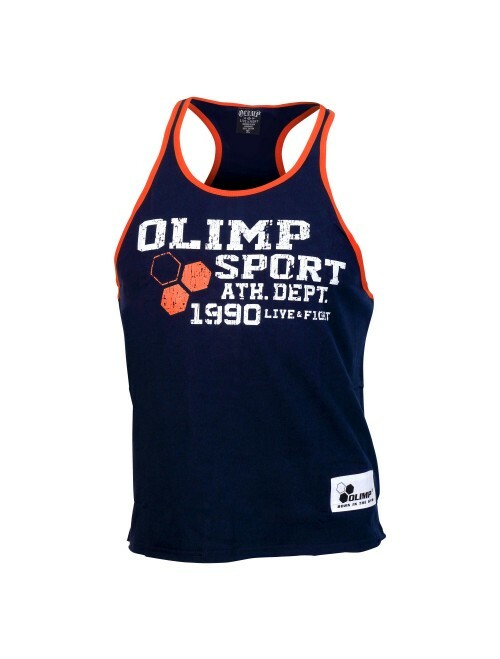 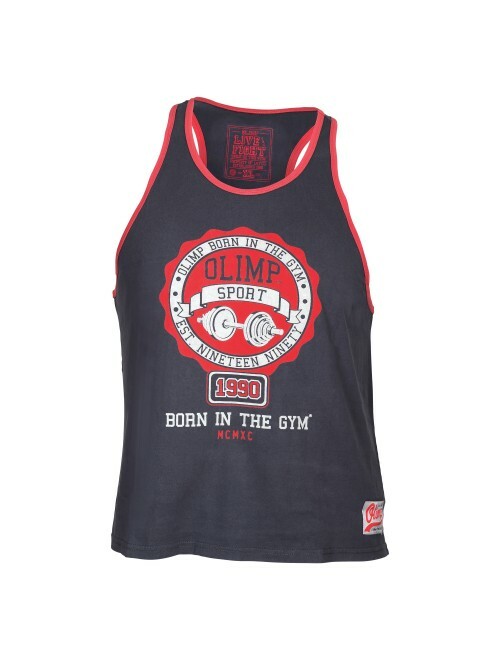 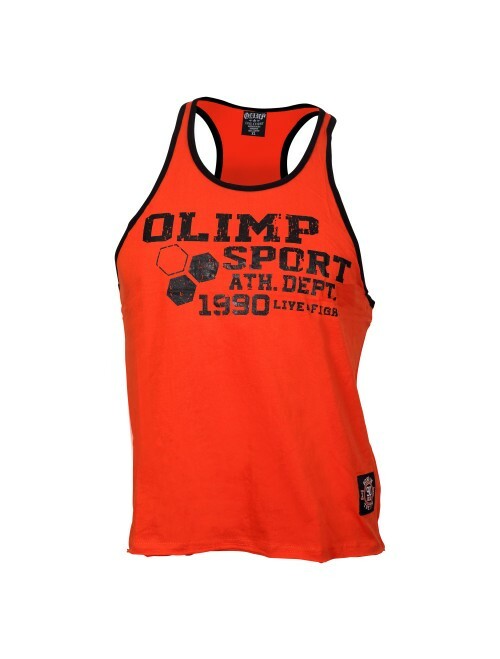 The tank top is completed with a Live and Fight logo patch above the hem. 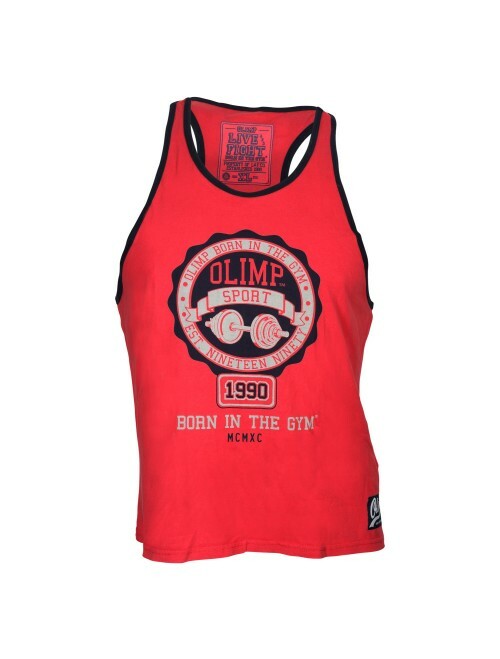 Red body style is 100% cotton. 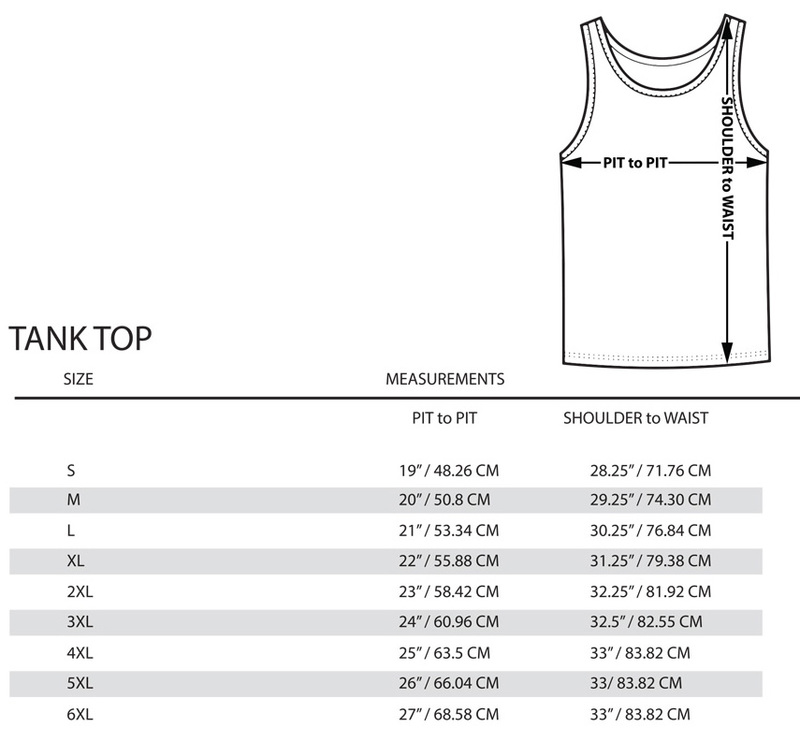 Charcoal style is 50% polyester, 25% cotton, 25% rayon.